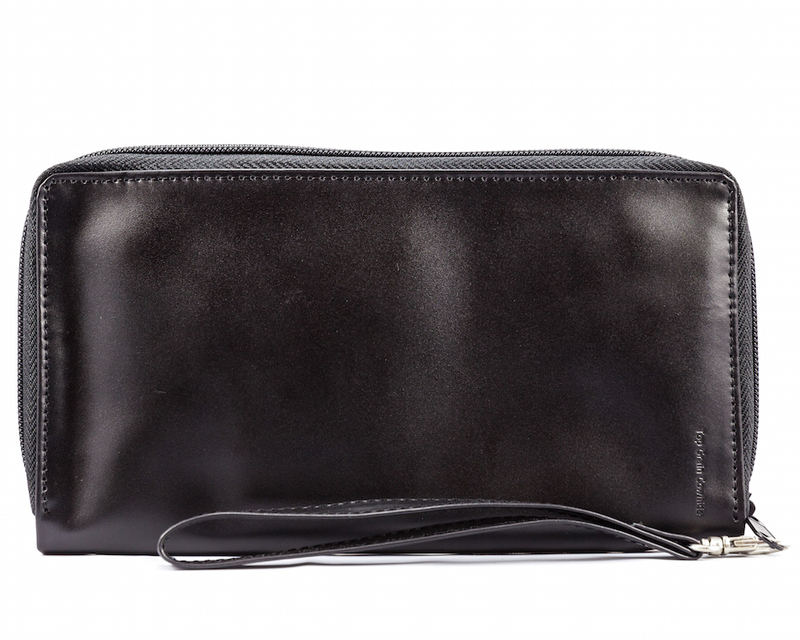 Our Panther leather clutch is smart and stunning, which is why we're collecting so many "love it" letters from fans. 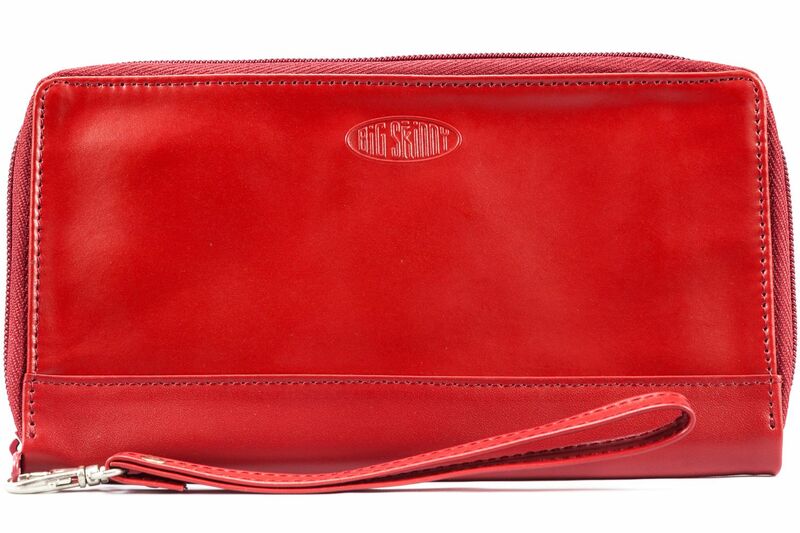 This popular addition to our line of ultra-slim women's clutches and wallets at Big Skinny is a combination clutch and wallet. 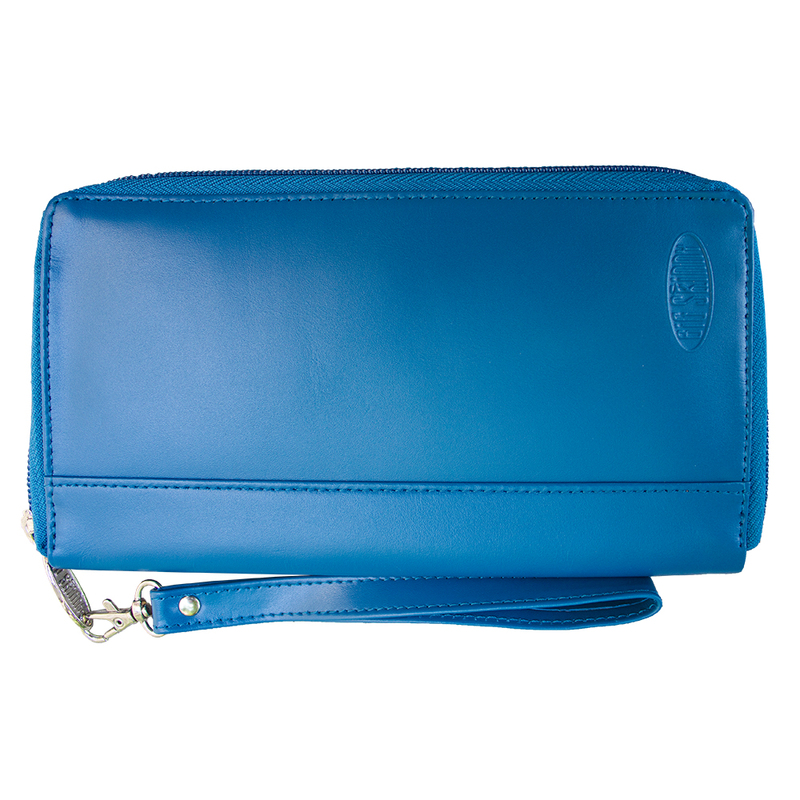 The exterior is premium super soft leather, and the interior is our famed lightweight nylon material with no-slip grip coatings inside each purse pocket. 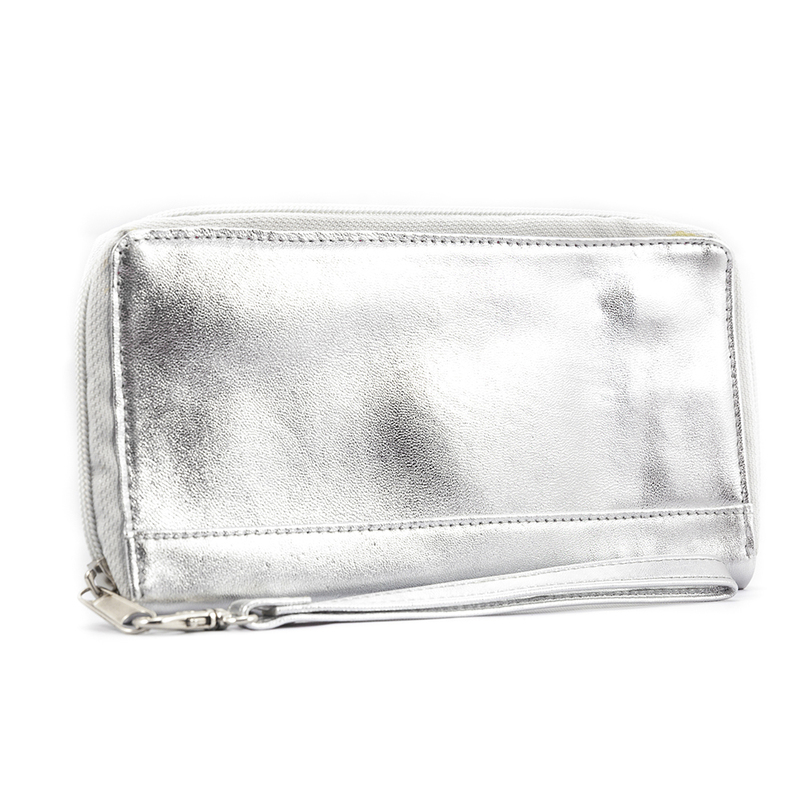 This sleek clutch/wallet has six credit card pockets that will hold more than 25-plus plastic cards, plus two clear window pockets for IDs and more cards. 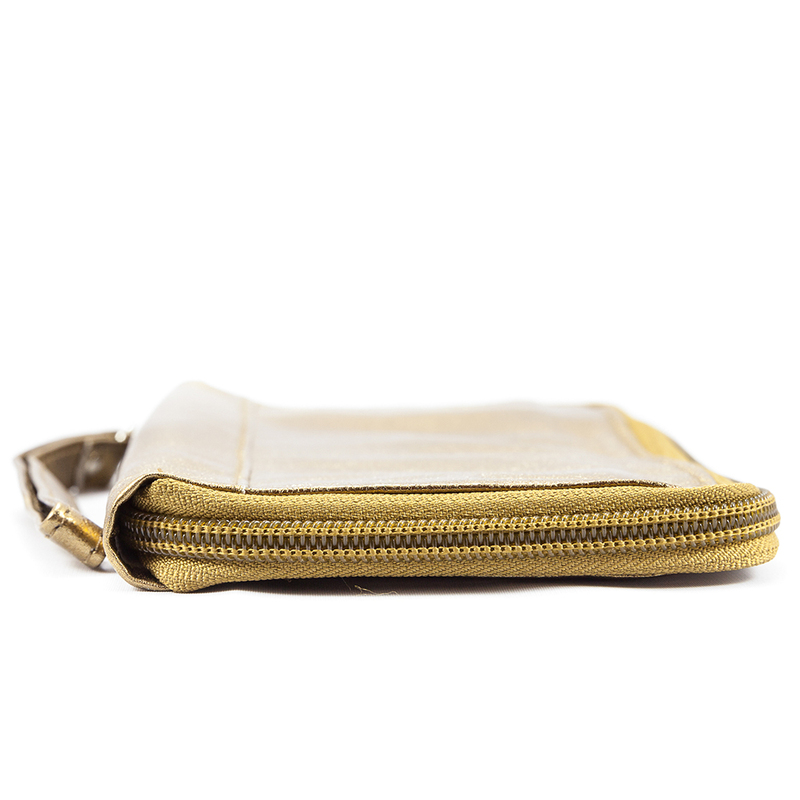 An interior zippered pocket holds your coins. 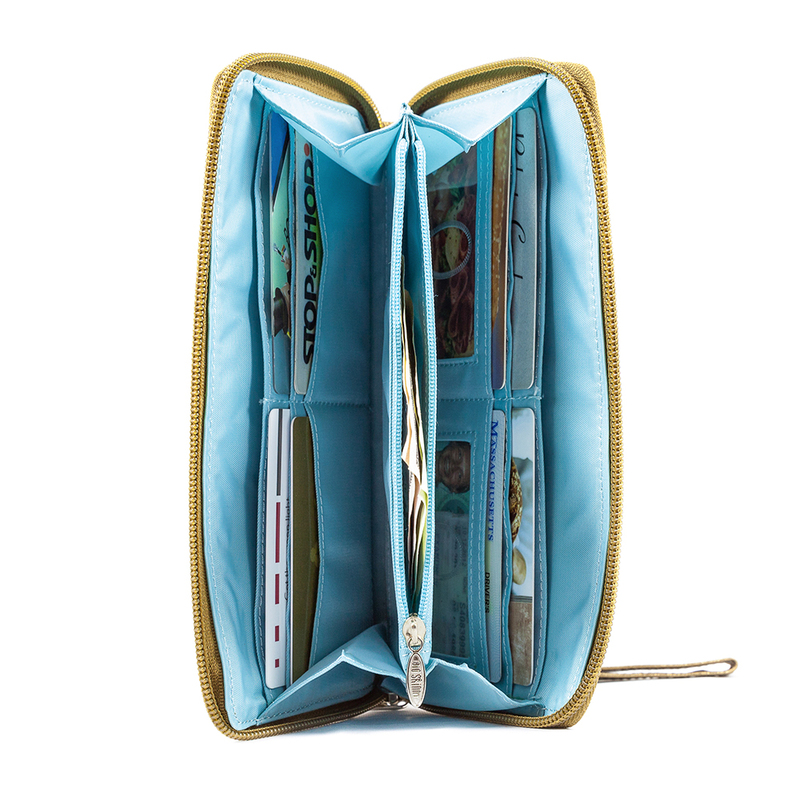 The extra-long billfold area inside holds folding money and even oversized foreign paper currency for your next jet-setting adventure. 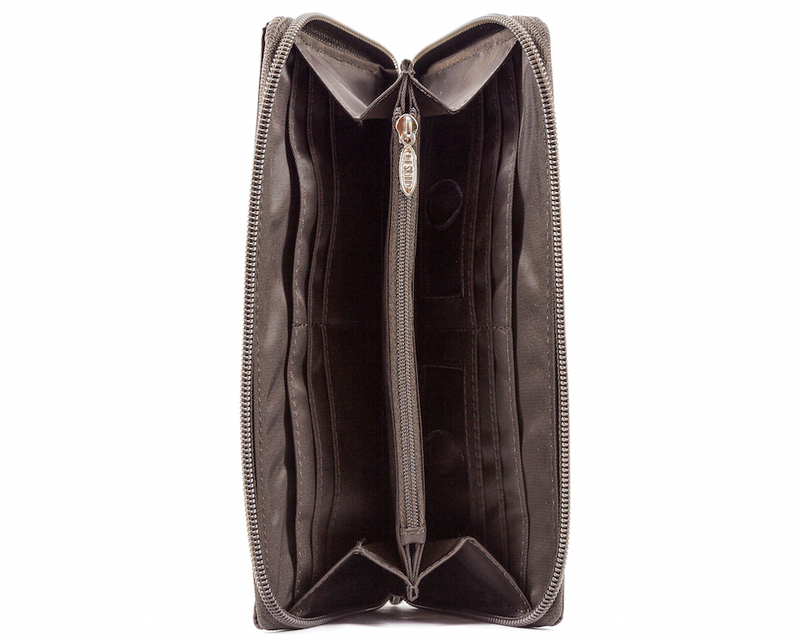 The interior is expandable, which means there's plenty of room for your smart phone, boarding pass, lipstick and other getaway essentials. 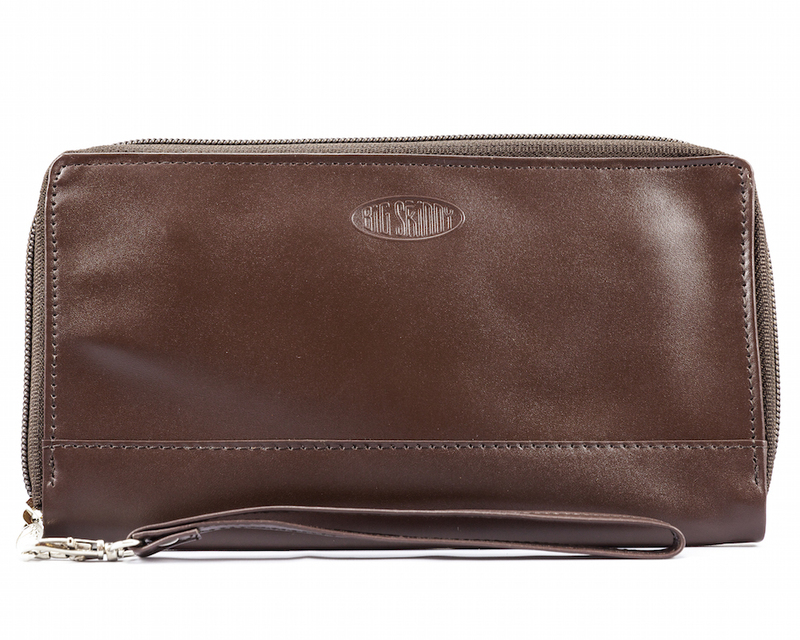 A perimeter zipper secures everything. 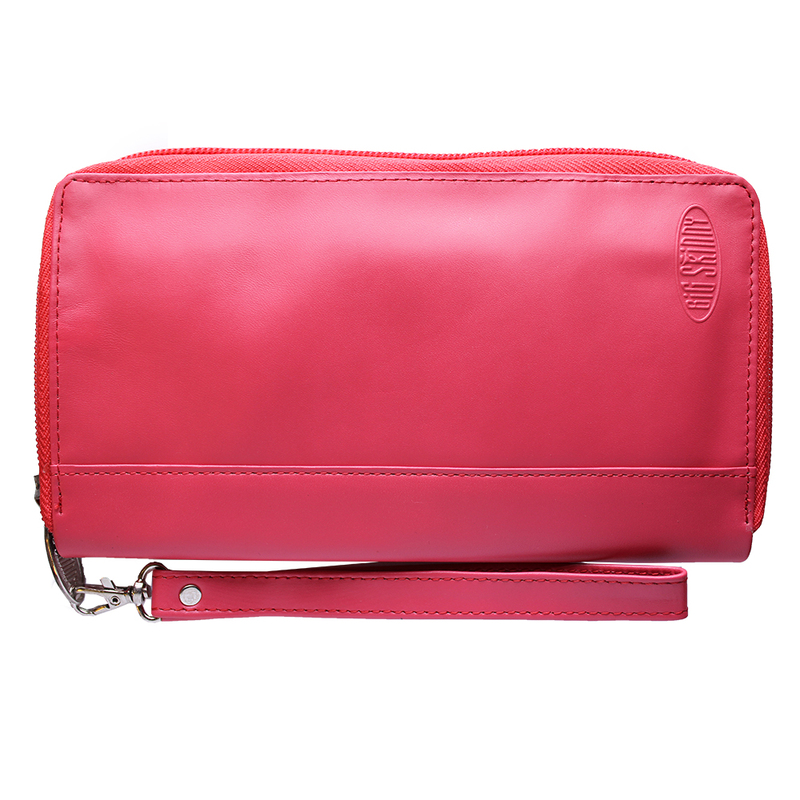 The detachable wrist strap is a fashionable addition for accessorizing casual and dressy outfits. 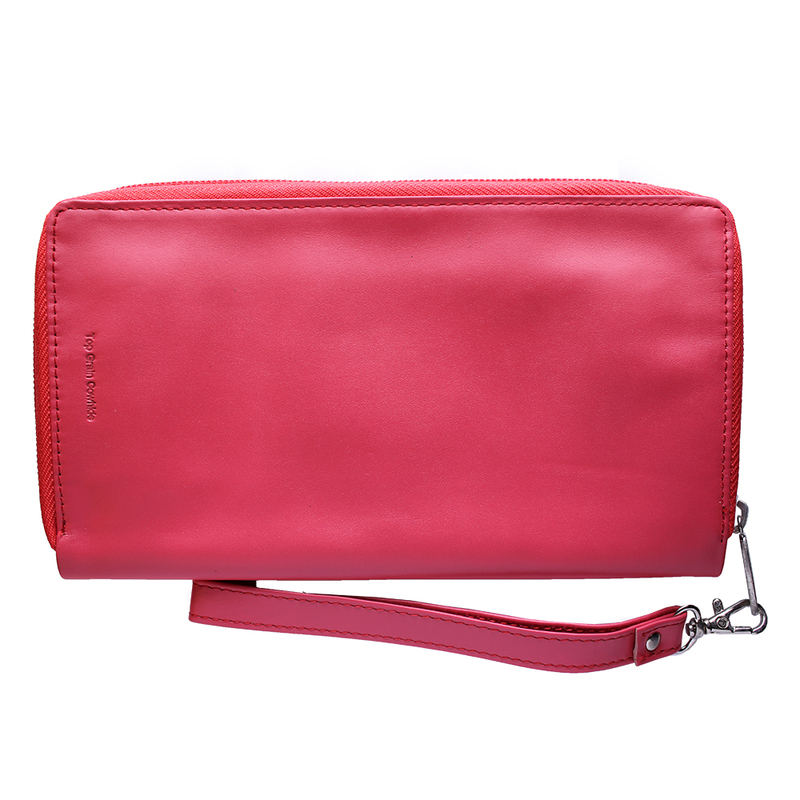 Our panther leather hybrid clutch is available in bright red, bold black or a soft brown. 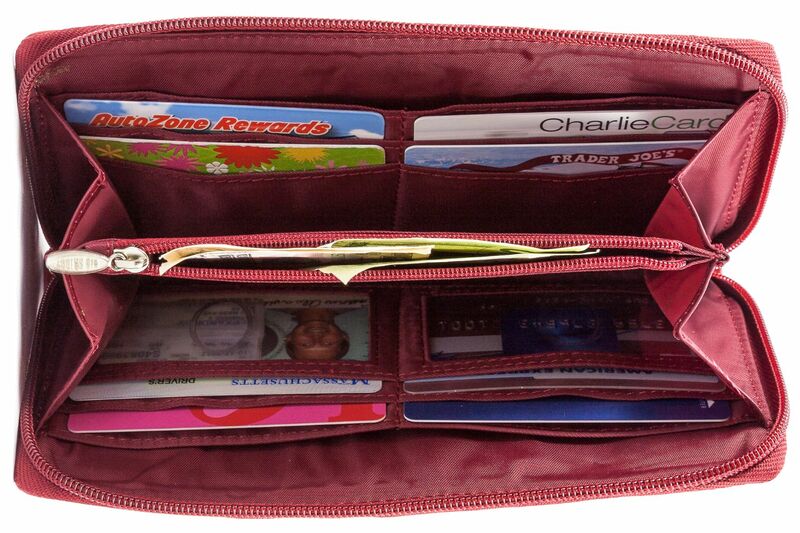 -dimensions: 7�" wide x 4�" tall (19.5 cm x 11 cm) �only .5" (12.7 mm) thin when closed! ProsCan put a lot of cards and receipts. 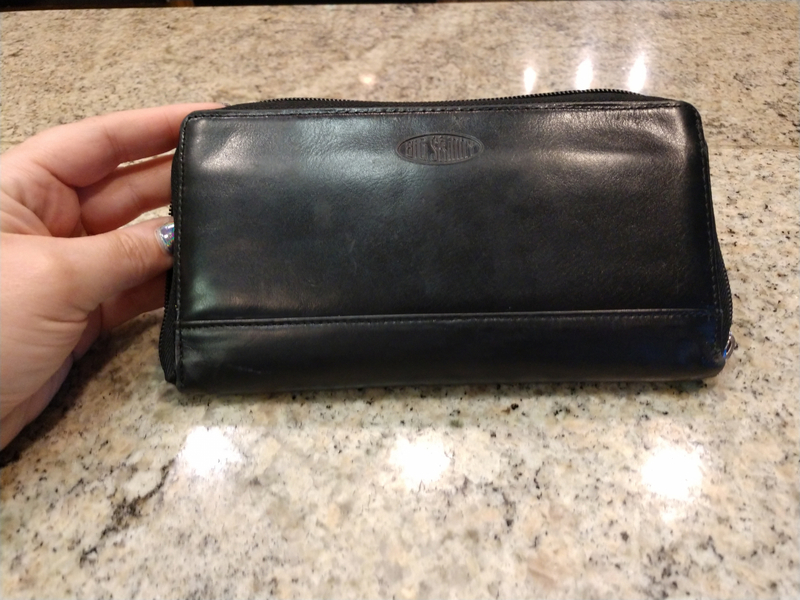 I have had my black pantha leather wallet for about 6 years, i bought it at a home show. It fits everything! 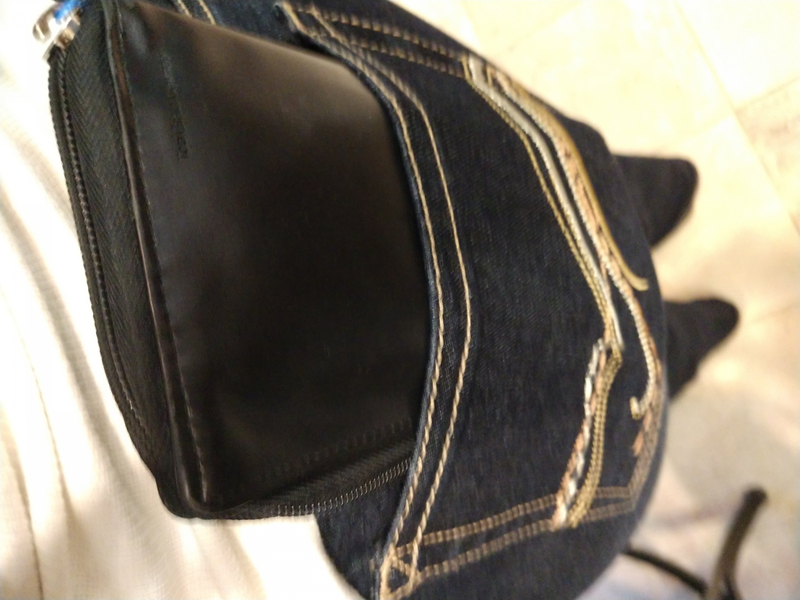 I have tried other wallets, but keep going back this. My only issue is the little tab to help close the zipper came off and now i have a paper clip to use the zipper. 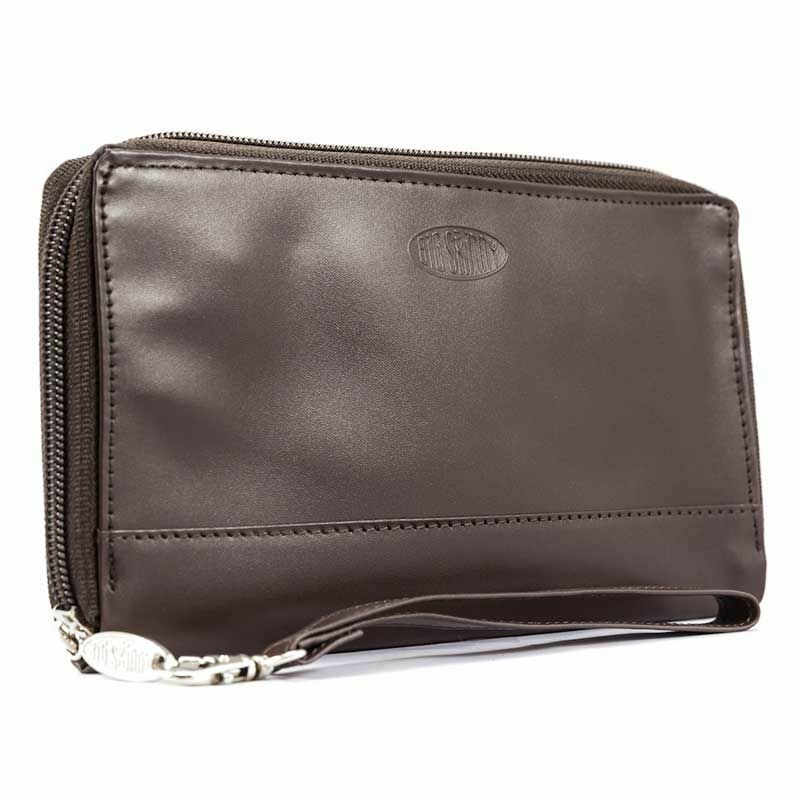 The wallet looks brand new still... Buying a new on in brown to go with my leather bag. This was a hit at Christmas! My wife was amazed at how thoughtfully designed the Big Skinny stuff is. 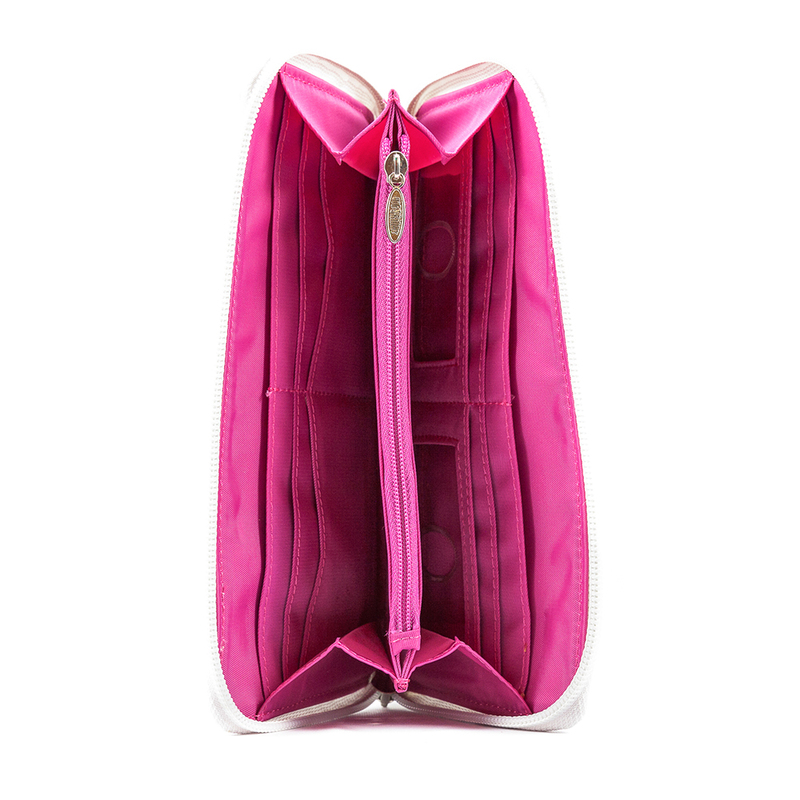 I am one of the very early customers and I've carried Big Skinny for many years. 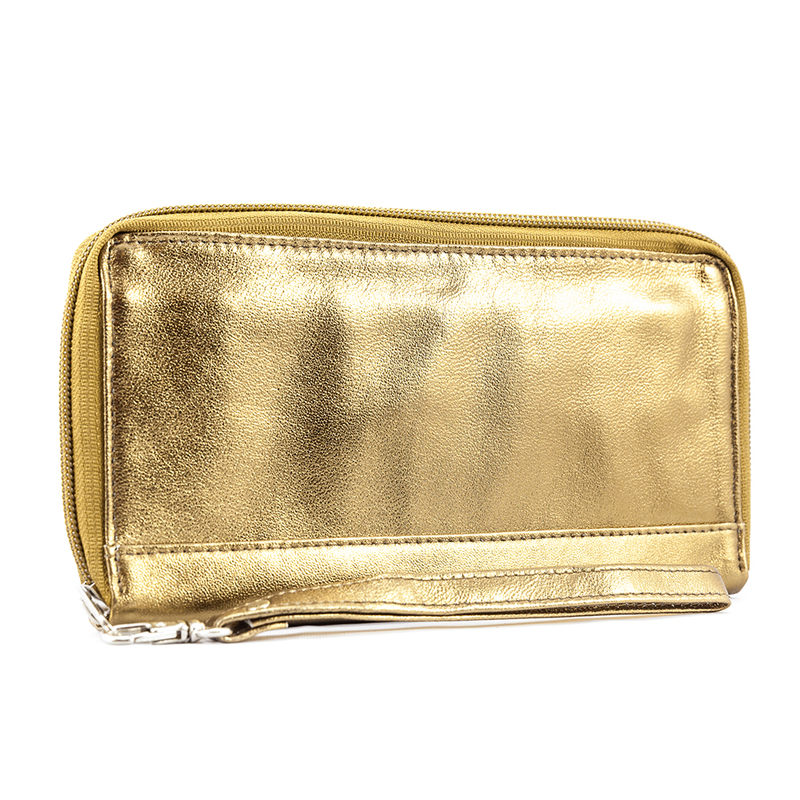 I bought this exact wallet 6 years ago at our state fair. 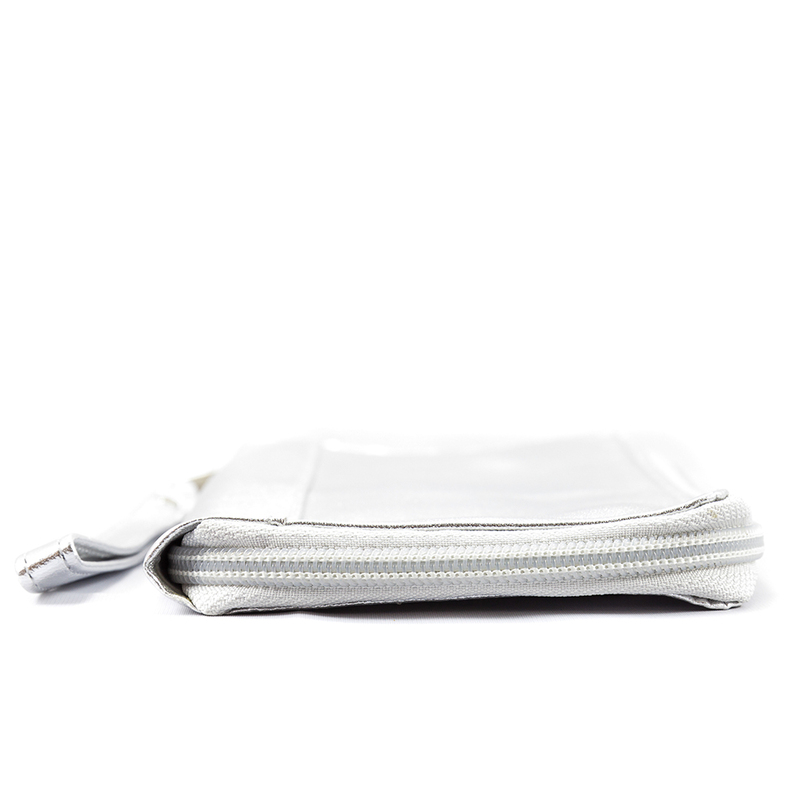 I was looking for a wallet with a "good working zipper". 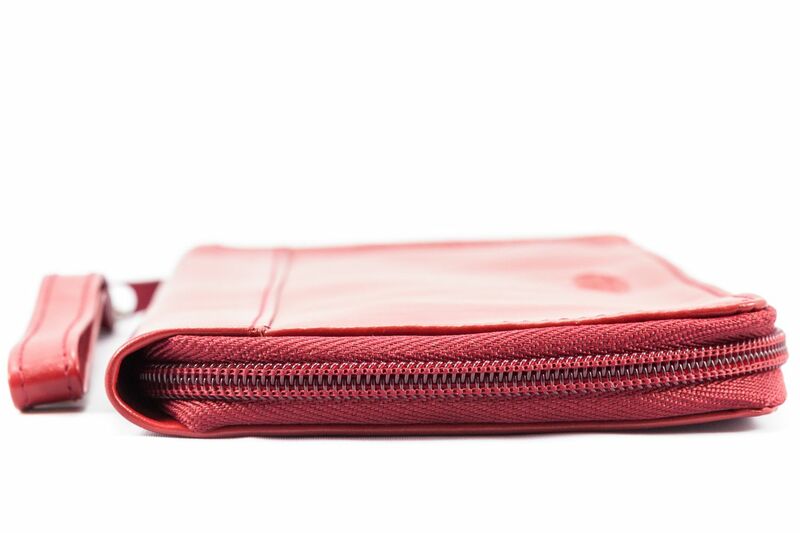 I know that sounds strange but most wallets have zippers that are hard to use, or break off. This one is so smooth!! I love the Ocean Blue color. 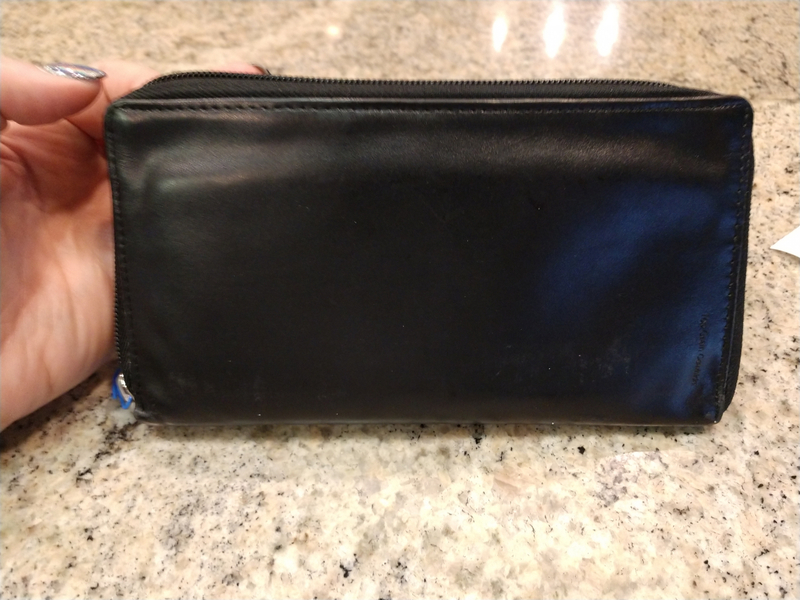 I've had this wallet for 6 years now and have never once been able to replace it because I can't find anything that lives up to it's expectations. So here I am today, finally buying a new one. Why? Because I want a black one instead of blue! Still have a perfectly good wallet, zippers still in tact, not faded or broken. It's AMAZING!!!!! ProsZipper runs smoothly. 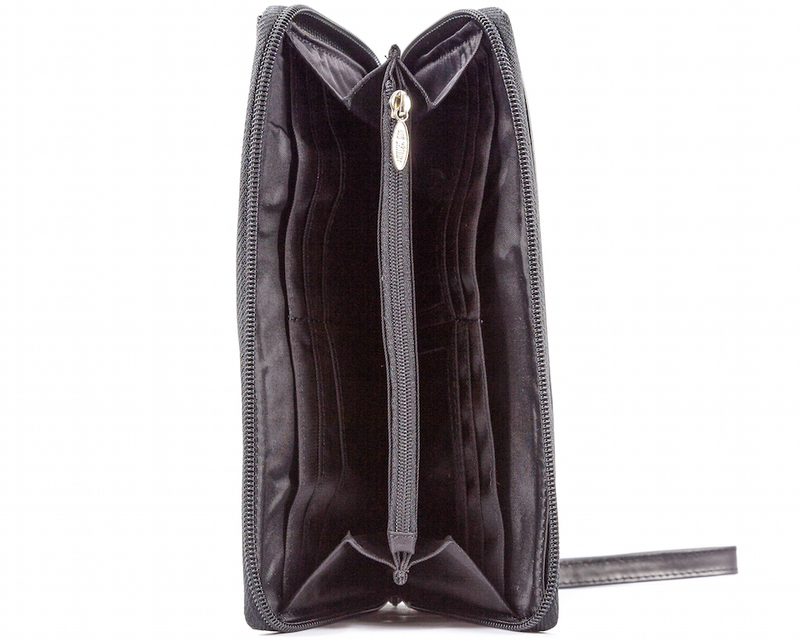 You can fit an iphone in there with an extra inch of space. You can literally stuff it with anything and it'll zip up! ConsI wish there were more color options! 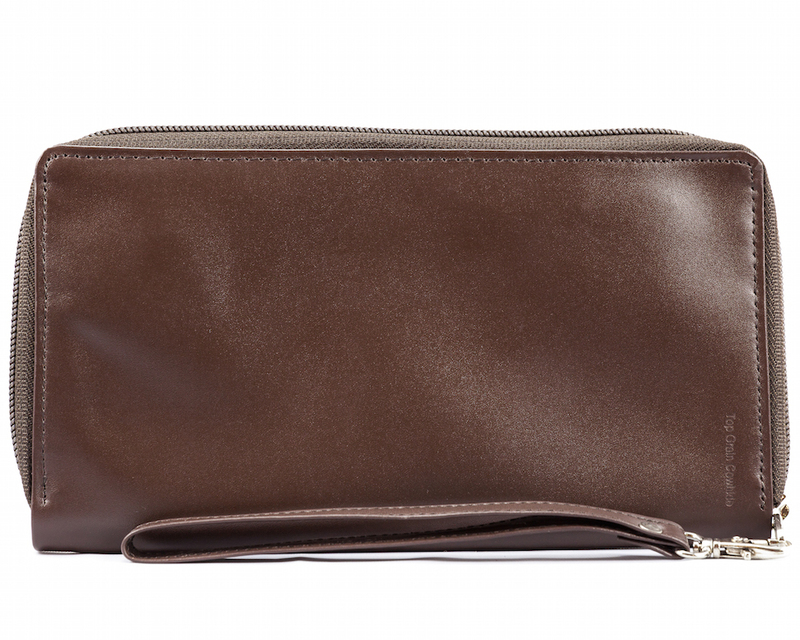 Love how compact is this clutch. It holds everything quite nicely, except for my car key - makes the clutch a little" bulky"
ConsNotice some scratches on the surface - will need to check out what is causing them. 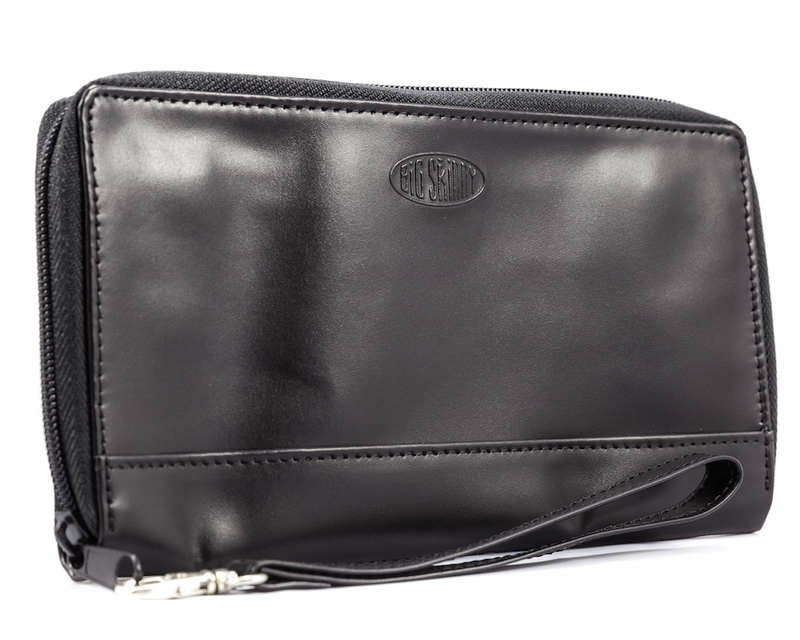 If I put my car keys in the clutch, then it takes some maneuvering in order to unzip/zip the zipper. 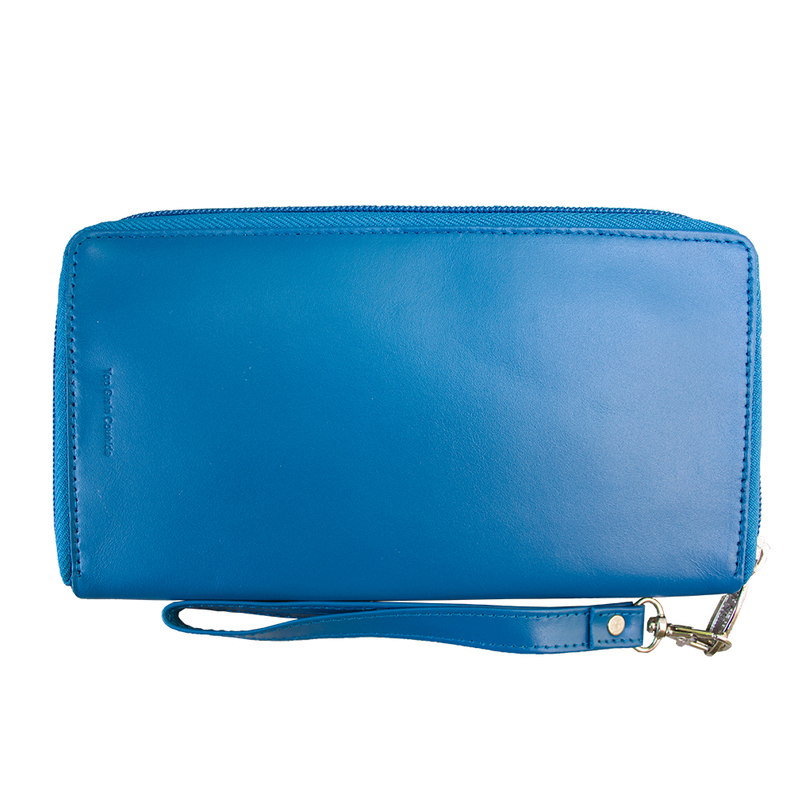 This is a very nice leather Clutch. The leather is very soft. It has lots of room and yet is not bulky. 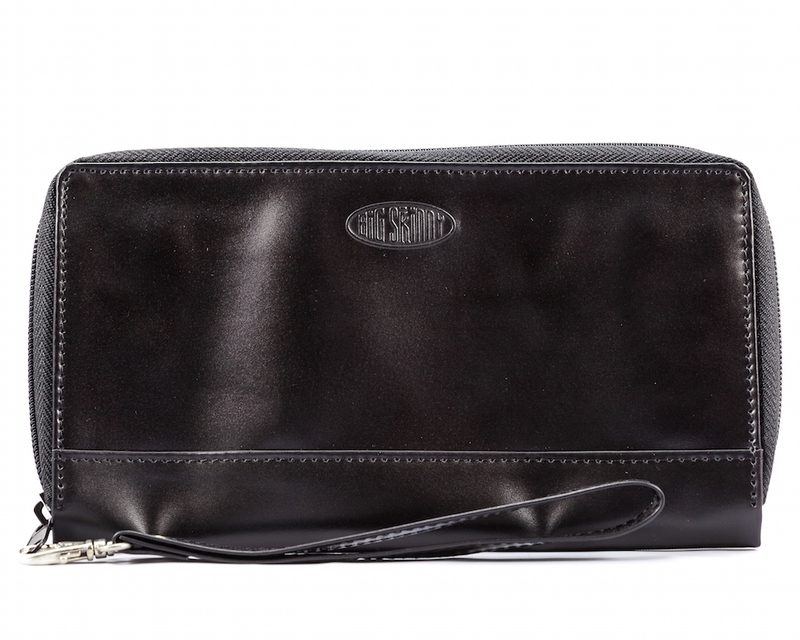 I wish there was a way to - put loops on it - to attach a long starp - to use as a cross body. 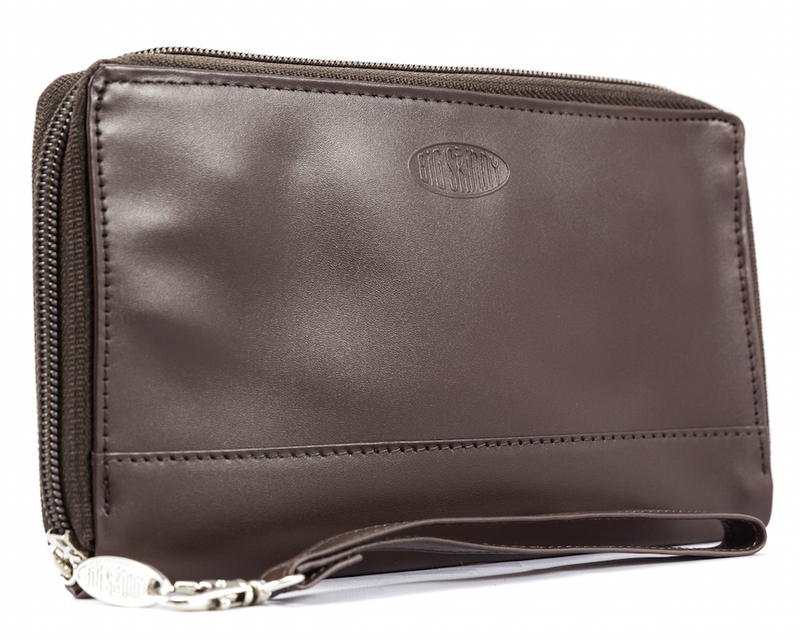 It is really a nice wallet - and not seen anything as nice for a lot more money. I will order another - just for a back up in case this style gets discontinued. 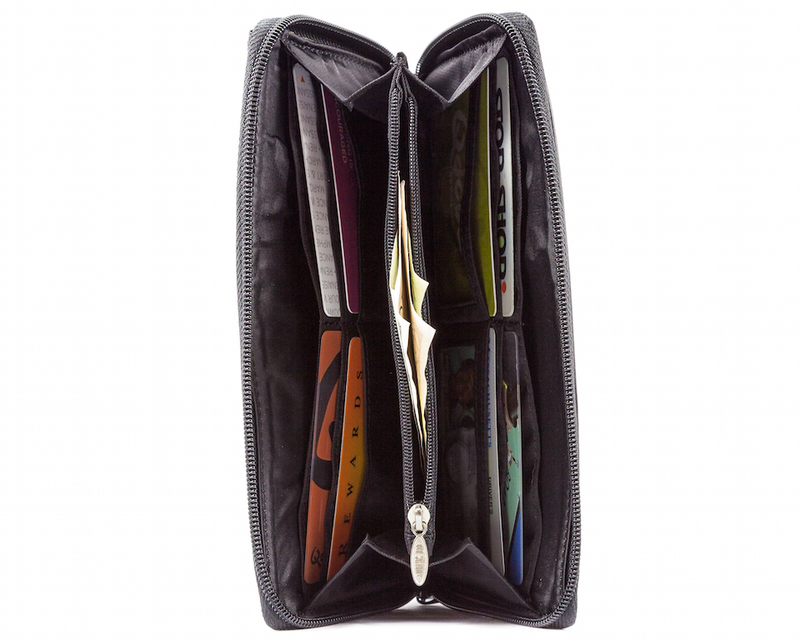 it's really compact and i often get comments from people asking how my wallet is so thin. 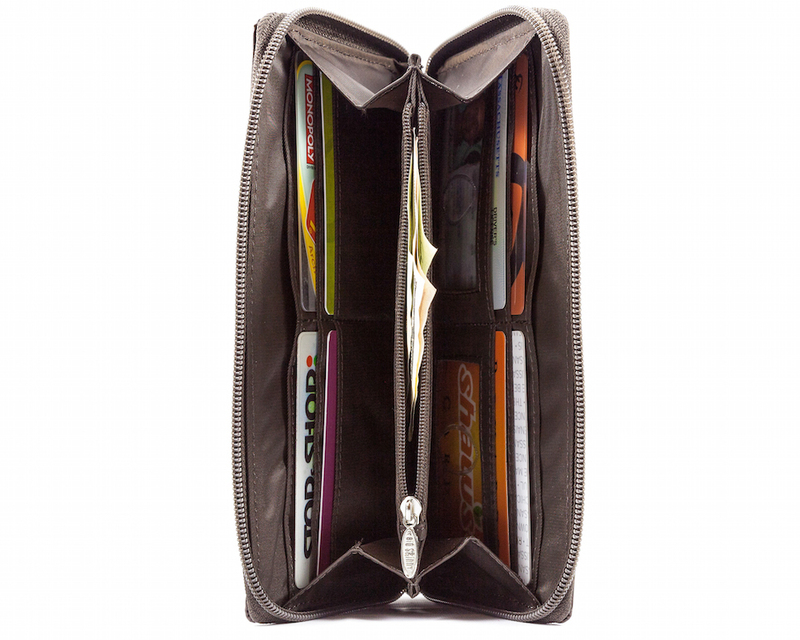 could use more card slots. problems i've faced are with the zippers. both the coin pouch zipper and the main zipper on my previous similar black wallet broke, and i had to get a new one (this brown one). other than that, it's great! 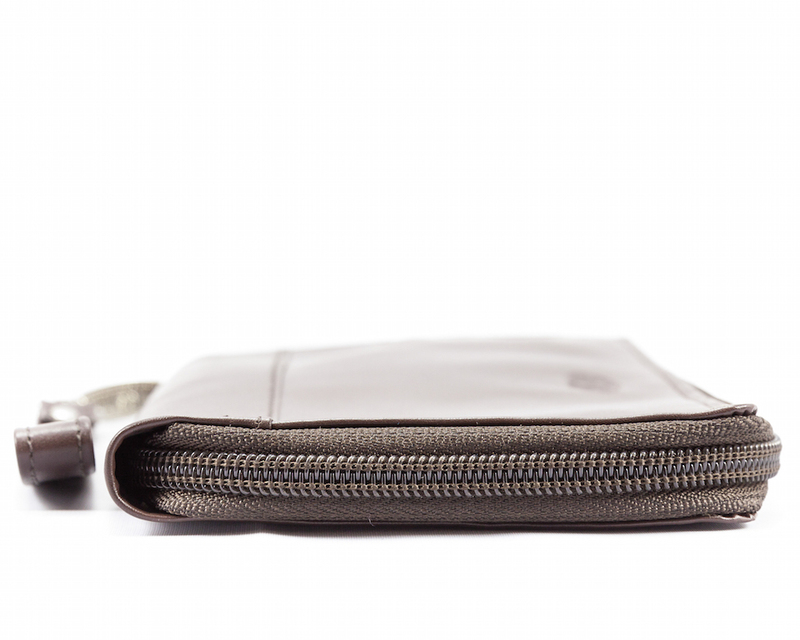 it's light, the material is easy to maintain and clean, durable, simple and functional. 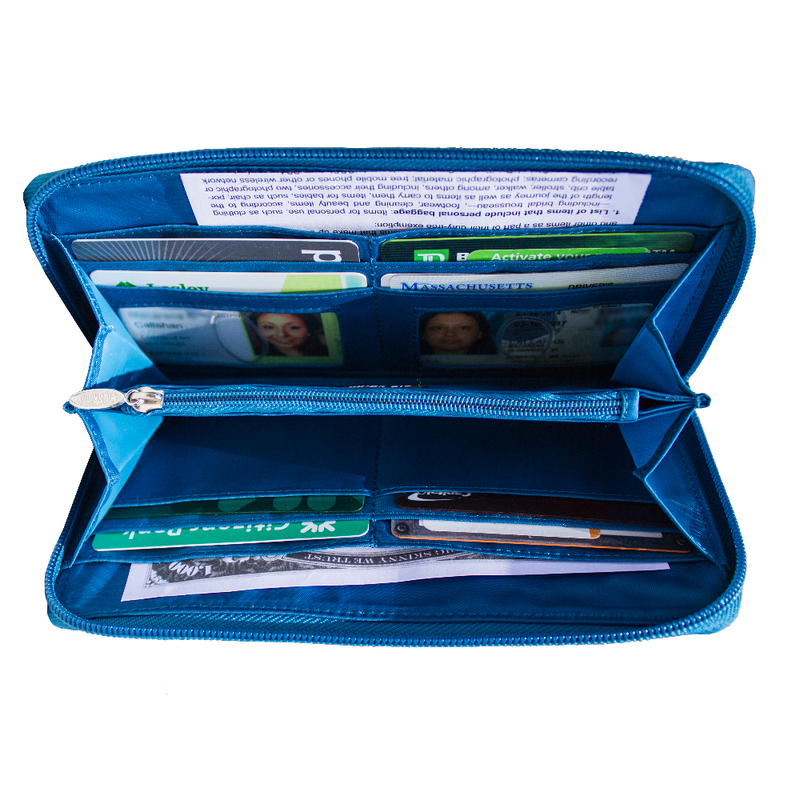 it'll be hard for me to switch to another wallet model. Merchant Response:Hi Randy, Oh no! Thank you for letting us know! 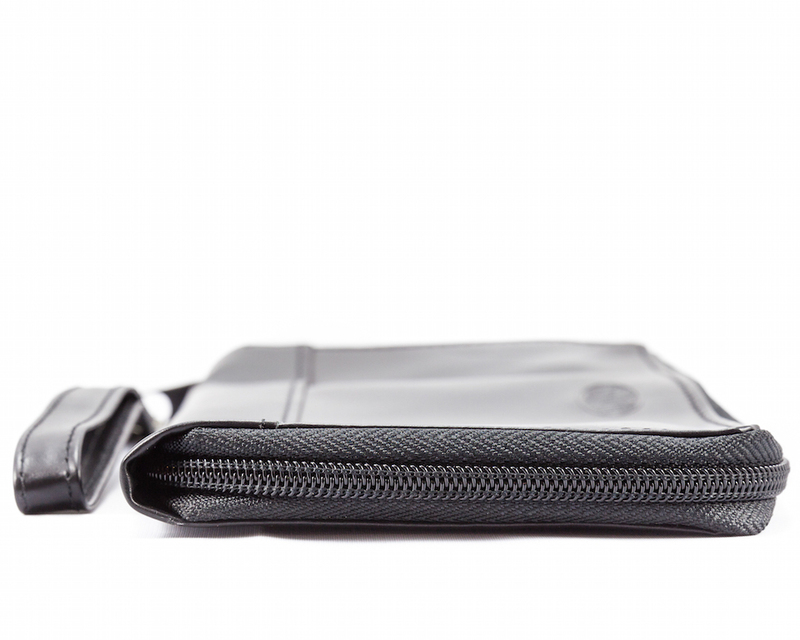 We have changed our zippers & are happy to send out a replacement immediately! ConsZipper fobs break off too easily..